This wreath is made from natural branches. It is decorated with artistic copper wire, guinea fowl feathers and a small feathered bird. 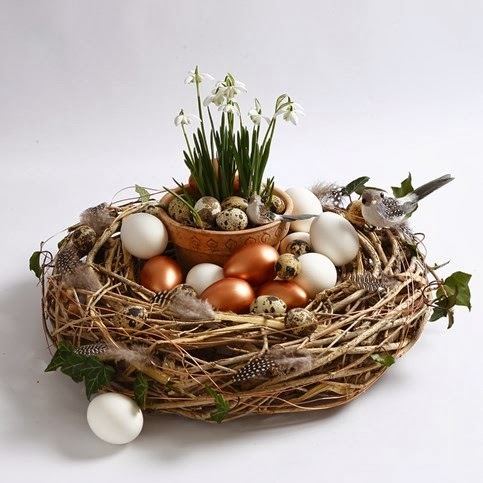 The wreath is then decorated with flower bulbs, white eggs and eggs painted with copper paint. 1. 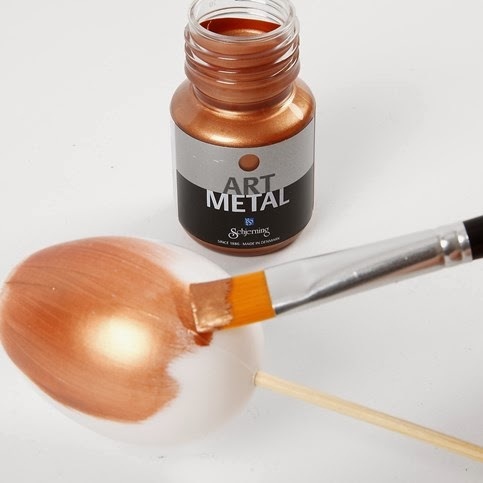 Apply two coats of Art Metal copper paint to the plastic eggs and let the paint dry between applications. NB: the painting procedure is made easier by pushing a flower stick into the egg to use as a handle. 2. 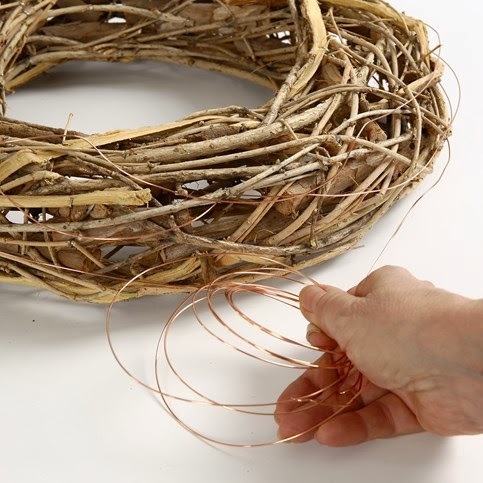 Wrap the artistic copper wire around the outside of the wreath. 3. Push guinea fowl feathers randomly into the wreath all the way around. Also clip a couple of feathered birds onto the branches. 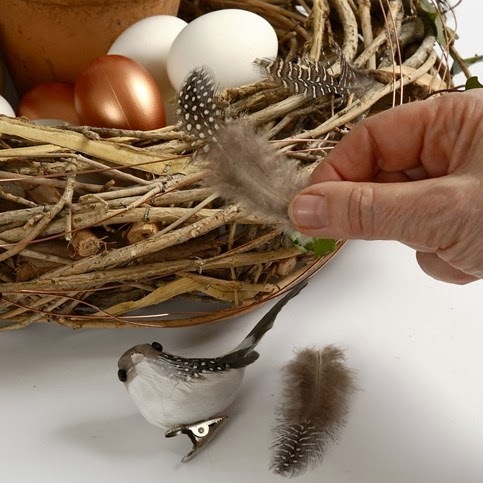 Place a flower pot with flower bulbs in the middle of the wreath and arrange white and painted eggs around it.